The Singing News Magazine is the largest Christian Music publication in the U.S. and has the most watched Southern Gospel chart for the genre. Three Bridges have been populated the Singing News chart for well over a decade with their releases. You can add another one to the long list of chart singles by the trio. “Livin’ In The Lion’s Den” will debut in the Singing News Top 80 for the month of October. The song was written by Glen Bates and Glenn Ashworth and was recorded on the Three Bridges album, ‘Twelve’. 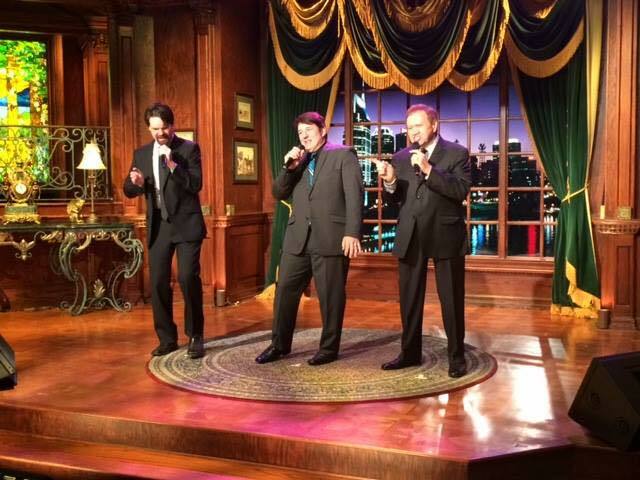 The group is having another stellar year with the release of a new album, ‘Hymns & Classics Renewed’, and a return to the main stage at The National Quartet Convention in Pigeon Forge, TN. 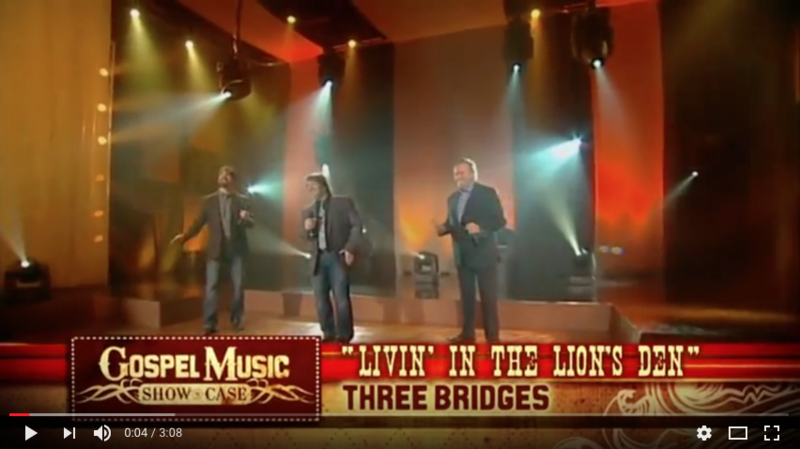 Watch a performance of “Livin’ In The Lion’s Den” from Three Bridges appearance on Gospel Music Showcase, the popular television original series on Daystar Television.